In default Magento 2, it offers users a configuration to enable One-page checkout for faster checkout with less information to complete. Compared to Magento 1, checkout steps of Magento 2 are much fewer and remain 2 steps (Shipping and Review & Payment) instead of 6 ones as before. Therefore, this new change of Magento 2 brings a better shopping experience for customers because they don’t have to go through a long and complicated process to finish their payment. For more information about the improvement of Magento 2 checkout, please read our research in this blog post: Get More Understanding about Default Checkout in Magento 2. You go to Store →Configuration→ Sales→ Checkout to start configuring. 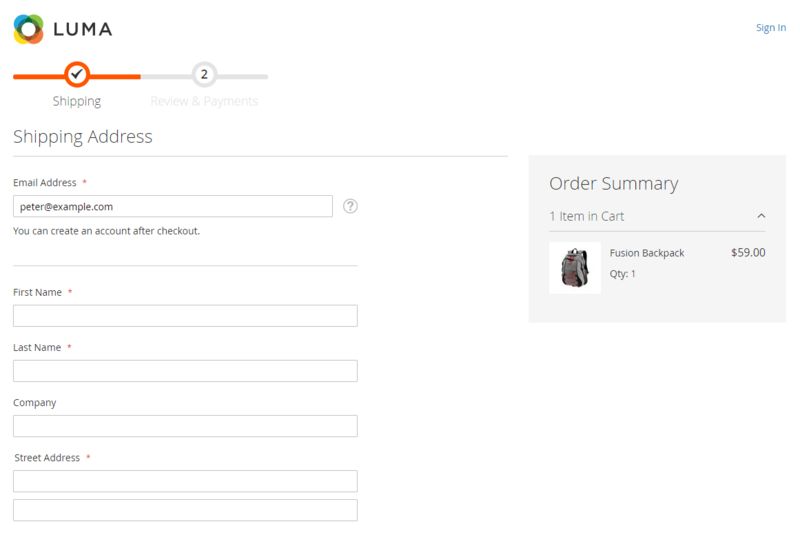 In Checkout Options, you set Yes to Enable Onepage Checkout. Finally, you click Save configuration and check the result on the frontend. However, most of the business is now looking for better solutions to optimize their default checkout. They recognize that current checkout still contains some limitations causing customers much trouble when providing personal information as well as making payment. Therefore, using an alternative One Page Checkout Magento 2 extension is considered as one of the most effective ways to improve default one-page checkout Magento 2 and customize checkout with more useful functionalities. By installing One Page Checkout Magento 2 extension, 2 checkout steps of default are combined in one page only, and customers can freely check and edit your information without going Next or Previous. 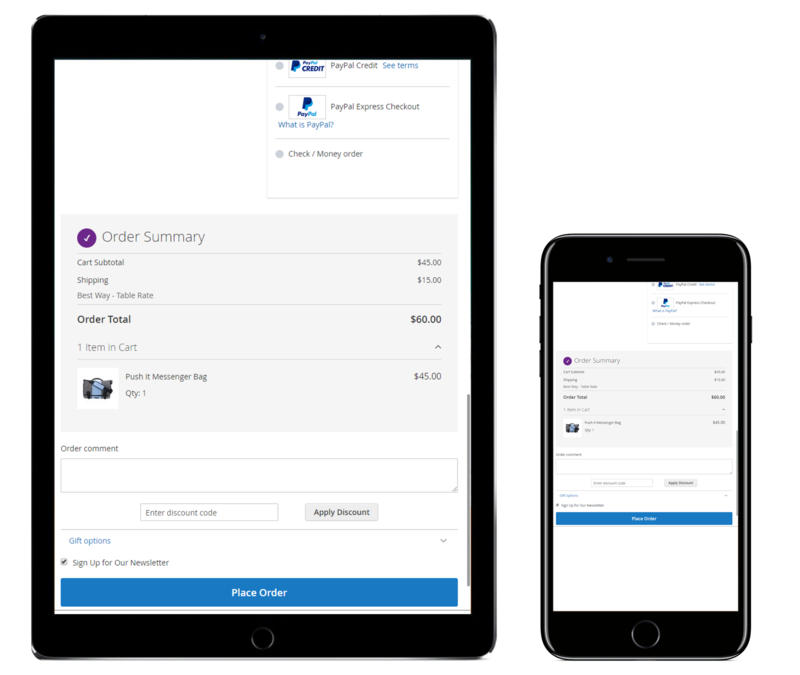 As you know, when customers go to the default one-page checkout, they first need to complete all information in the Shipping address and then switch to Review & Payment. 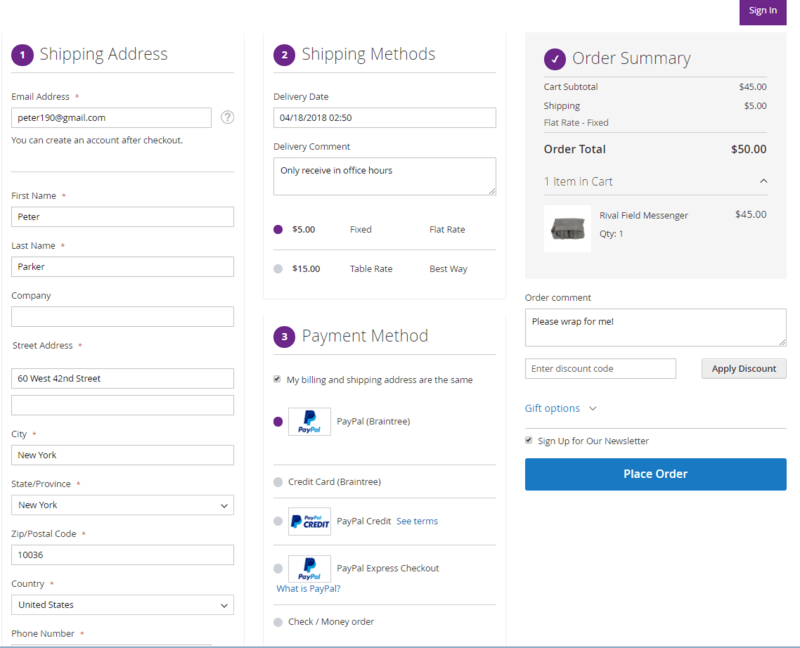 However, when installing Magento 2 One Page Checkout extension, Shipping address, Payment methods, and Order reviews are shown in one page and buyers can complete them at one time. This is a feature making Magento 2 One Page Checkout extension more outstanding than the default one. When customers go to the checkout page, the module will automatically detect customer country and prefill in the shipping address. Google Suggest helps to suggest and autocomplete their address when they type some letters. It is great, right? This function often belongs to Magento 2 Order Delivery Date, but it now also appears as one of the best features of One Page Checkout Magento 2 extension – right in the Payment section of the checkout page. Besides, store owners can manage customer delivery on the backend because delivery information is also displayed in Order details. It is important that Magento 2 One Step Checkout extension should work well with payment methods of stores. Therefore, this module is also compatible with methods default Magento supports, and if you want to test with others, please contact us for the best solution. Works well other Magento 2 extensions: Order Delivery Dates, Pre-select Shipping/Payment Method and Checkout Success Page. Let’s check out configurations of One Page Checkout Magento 2 extension to know how to set up for a faster checkout page. By enabling default one-page checkout, customers can get better shopping experience, but with One Page Checkout Magento 2 extension, checkout becomes much faster and more simple than before. Therefore, it helps not only improve user experience but also reduce shopping cart abandonment and increase conversion rates for business.